Conferences can provide invaluable experiences to learn about the latest trends in the recruiting industry and connect with new vendors that can enhance your business. Whether you’re seeking new solutions and strategies, or simply want to grow your staffing firm, attending conferences can be instrumental in bringing your business to new heights. Known as one of the premier annual events for the staffing industry, StaffingTec will give your team the opportunity to explore all the latest trends and technologies evolving in the recruiting world. This year’s conference promises to deliver valuable networking opportunities and insight from the staffing industry’s most sought after thought leaders, as well as exposure to the most advanced technologies for your business. Featuring tech visionaries from around the world, TechServe Alliance Conference 2019 will address many of today’s most prevalent challenges and solutions for IT and engineering firms. In addition to phenomenal networking opportunities, this conference will give your team the vital knowledge and tools to combat even the most difficult tech problems facing your staffing firm. As one of the most popular conferences, NAPS provides the ideal opportunity. Held this year in San Antonio, September 22-24 at the Hyatt Regency Country Resort and Spa, NAPS is expected to have more than 400 attendees from the staffing industry gather to connect and learn about the latest recruiting practices. California Staffing Professionals (CSP) holds one of the most dynamic conferences for staffing professionals each year. This year’s conference, which will be held June 6-8 in Irvine, California, will allow staffing pros from around the world to connect and learn from one another in a variety of sessions and workshops. Known as a prime event for both small and large staffing firms, this is one you won’t want to miss! Planning your 2019 conference schedule? 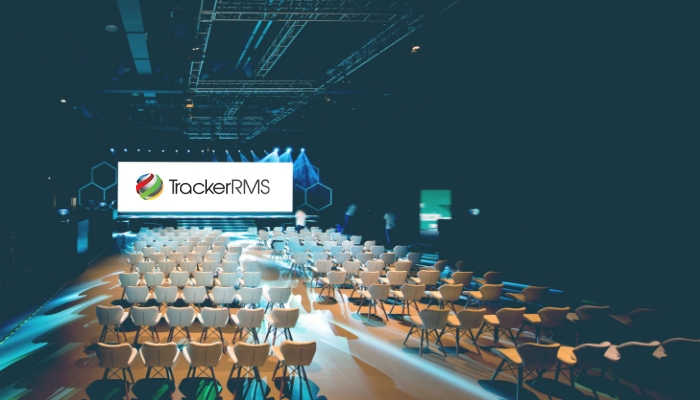 TrackerRMS will be at all the conferences above! Be sure to visit our booth and learn how our team can help your staffing firm meet its 2019 goals! Or, contact us today for more information.